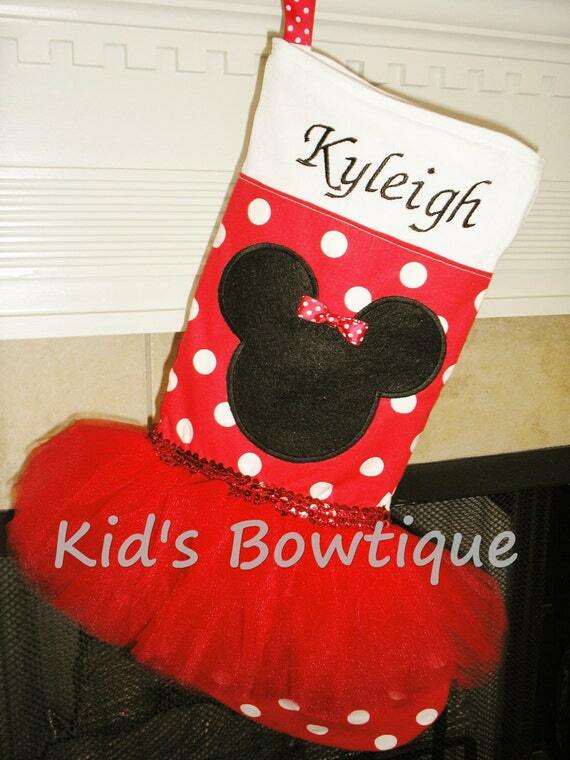 Kid's Bowtique has designed a red tutu Christmas stocking for any little girl who loves Disney's Minnie Mouse. 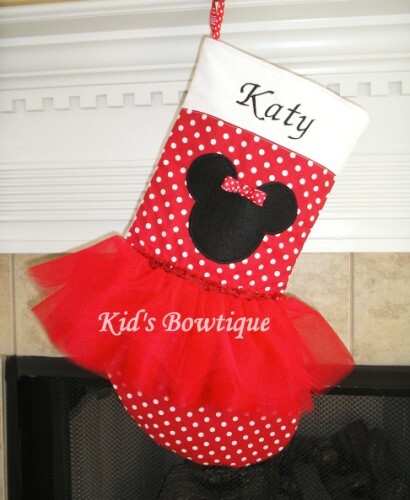 Our unique tutu stocking is made of high quality white plush fabric covered in red/white polka dot fabric. The stocking is a nice large size, approx. 21 inches long and 11 inches wide at the "foot". A red tulle tutu is added for uniqueness, red sequins trim for dazzle, sewn mouse applique for character, and embroidery in black thread for personalization! The back is solid fabric.